Consumer Science attended Associate Wholesale Grocers’ (AWG) innovation summit in Overland, Kansas this March. The event was a showcase of game-changing solutions to enhance the consumer experience in grocery stores. Consumer Science were able to demonstrate their services supporting the strategic quality initiatives for AWG’s exclusive brand portfolio. Congratulations to Braeden Knight, a Product Researcher at Consumer Science for the past 6 years, for becoming part of an elite group to be a Certified Food Scientist. She joins another Product Researcher, Kasturi Chitre, who achieved it last year. 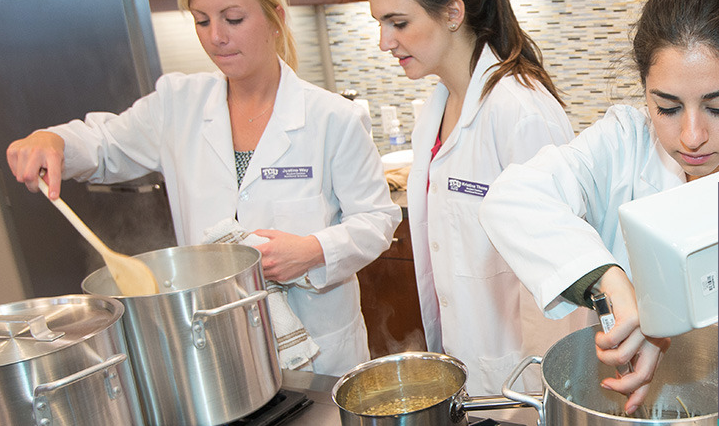 Unlike any other certification, the Institute of Food Technologists’, CFS designation recognizes the applied scientific knowledge and skills of global food professionals and provides a universal way to identify, cultivate, and retain top talent. Senior students in the Experimental Food Science class from Fort Worth neighbor Texas Christian University kicked off their fall semester by spending an afternoon with us in the laboratory. Students gathered in groups and met side by side with Consumer Science’s product researchers at the workbenches discussing what “a day in the lab” is like – assisting with titrations, aiding with measurements, and conferring over test methods. Students also met with our Sensory experts where they heard about the different panel capabilities available as well as saw the booths where panelists sit to take part in tests. We were thrilled to have these students visit for the 3rd year in a row and are looking forward to having this class back for years to come. Go Frogs!! Solutions for Retail Brands (S4RB) has announced a new joint venture with Consumer Science, a division of MMI (Marketing Management, Inc.). Together, the organizations will combine their resources and expertise to bring private brand retailers improved product performance assessments, better supplier engagement and faster sales growth. Consumer Science is an established consumer research and product testing company. Its services include product sensory paneling, focus group facilities, claim substantiation and lab testing. As private brand specialists, the company is involved in helping a number of major retailers monitor and improve the quality of their own label products. S4RB, a private brand grocery retail specialist, enables better communication between retail teams, suppliers and consumers through innovative software solutions built on its powerful UBX Cloud Services platform. These solutions collate product feedback to provide actionable insights that enable private brand teams to ensure consistent and competitive product quality. S4RB provides clients with insights and strategy to improve products, drive customer satisfaction to new levels and increase profitability. Consumer Science and S4RB can now offer US retailers an industry-leading suite of services that empower faster customer-focused product innovation, bring productivity improvements to supplier relationships, and drive increased private brand sales. Private brand products are an important part of the modern retailer’s offering. As well as bringing higher profit margins than national brand equivalents, they give customers reasons to choose one chain over its competitors. However, private brand product sales in the US lag far behind other countries: in parts of Europe, up to 40 per cent of supermarket sales comprise private brand products, whereas the figure is barely 20 per cent in America. This situation cannot improve unless retailers are serious about making their brands relevant. To create appealing products, retailers must know and respond to their customers instead of simply mimicking national brands. Internationally, the largest growth is in innovative and premium private brands and 42 per cent of millennials believe these products are more progressive than national brands. By 2020, millennials are projected to represent 30 per cent of total retail sales in the US, with their spending growing to $1.4 trillion annually. This is the background against which S4RB and Consumer Science have set out on their joint venture. They will apply their considerable expertise to helping retailers build a Unified Brand Experience (UBX) around ‘One View’ of customer sentiment and product performance, and work as ‘One Team’ to build private brands that delight consumers. Consumer Science ran a sensory workshop for the Quality Assurance Association (QAA) www.qualityassuranceassociation.org in Dallas / Fort Worth this May. Thirty QA professionals from leading retailers, manufacturers and associated industries were educated on the physiological background to sensory science and practical application in running different kinds of sensory panels, including discrimination, affective and descriptive. Attendees were able to take part in panels and even have their sensory acuity tested! 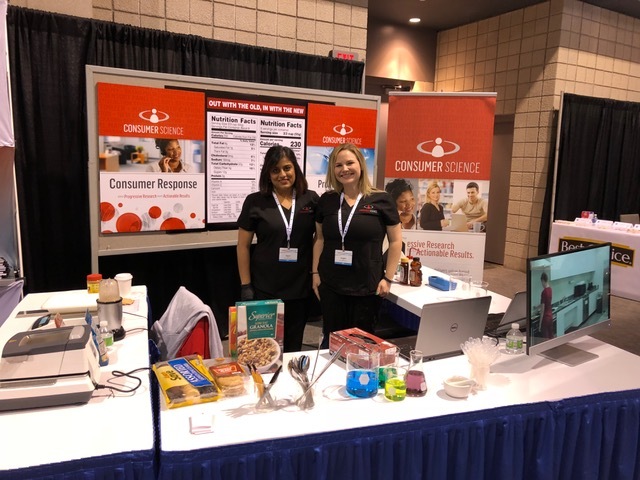 Consumer Science attended the annual expo for the Dallas / Fort Worth, Texas section of the Institute of Food Technologists, in October. The Longhorn section (www.longhorn-ift.org) offers more than 900 regional members an opportunity to come together, network, and develop both personal and business relationships. It was a great platform for talking to R&D managers about the benefits of understanding their consumer. We discussed how our focus groups, surveys and sensory panels can help drive customer segmentation, ideation, product development and improvement. Consumer Science is proud to partner with their local Dallas / Fort Worth, Texas based food bank (www.food-bank.org) for sensory research. Workers at the food bank take part in applicable sensory panels and Consumer Science makes a donation to their organization. A win win for everyone! No, not the football team! A group of Texas Christian University (TCU) MBA students from Dallas / Fort Worth, TX took a field trip to Consumer Science this past summer. They got a first had opportunity to see how a research company works. They toured our focus group facility, product testing lab and took part in one of our sensory panel tests – blind tasting national brand vs. store brand cinnamon rolls. As Amazon enters the online grocery market it looks like this could finally be a significant shift in the way Americans buy groceries. Traditional supermarkets, already getting squeezed between the discounters and mass merchandisers, perhaps have the most to lose. Recent consumer research (see our downloads section) shows there is some hope; the major advantages of in-store shopping are the ability to select your own meats / produce and inspiration gained by walking the store. Supermarkets need to emphasize their fresh offering now, more than ever. And if you can’t beat them, join them. The research shows that consumers would be significantly more likely to buy groceries from a grocer they already shop in-store at. A recent study we carried out for PL Buyer magazine showed that for smartpone users, mobile shopping apps were much more widely accepted than paper coupons. It also showed that retailer specific apps were not as popular as non retailer specific apps. Both sound like opportunities for retailers to up their game in this area! The full report can be found in our download area. A Division of MMI Professional Services Inc.